Different people require different techniques in order to induce OBEs. What works for one person often doesn't work for another. So I'm always researching new OBE techniques, not only by reading OBE books, but also experimenting with new techniques. Here is a simple OBE technique I've used a few times lately, with a fair amount of success. I won't claim to have invented it, but I don't recall many other authors talking about it. As usual, make your attempts in the morning when you're fresh and not sleepy. Choose a quiet and distraction-free location. Lie down on your back, face up, hands comfortably resting on your hips. Take a few deep breaths. Step 2 - Close your Eyes and Relax Completely. Close your eyes and relax your body as much as possible. If possible, relax your body until you can't even feel your body anymore. Step 3 - Imagine Your Body Is Paralyzed. When your body is totally relaxed, imagine that your body is paralyzed. It doesn't need to be paralyzed; you just need to imagine that it is. Step 4 - Pick a Part of your Body to Move. Pick both shoulders to be moved simultaneously up and down (not shrugging, but similar to throwing the shoulders forward). Pick to move the left shoulder, then the right shoulder (almost like pivoting), alternating. Pick to move both arms, pivoting at the elbows. I've had success with all three, but I prefer #2. Step 5 - Drift down into a light trance. Once you've picked a type of movement, just let your mind relax and let go, drifting off into a light trance where you're staring off into space. Step 6 - Imagine Moving Those Body Parts An Infinitesimal Amount. Here's where things get tricky and hard to explain. You want to come as close as you can to moving the body parts you've chosen in step 4, without actually moving them. You want to try to physically move your physical body, but only the tiniest amount you can possibly imagine. How tiny? You don't want to move a hundredth of an inch (or centimeter); that's too much. You don't want to move your body a thousandth of an inch (or centimeter); that's too much. Even a millionth of an inch (or centimeter) is too much. In fact, the amount you want to move is exactly zero inches (zero centimeters). Every time you move your shoulders (or arms) like this, use your intent: Intend that your astral body moves rather than the physical, and imagine that it's physically moving. Repeat this over and over: moving your shoulders (or pivoting your arms at the elbows) zero inches, with the intent of your astral body moving. Alternative method: If you have a hard time imagining that your body is moving forward and backward, instead, pretend that someone (like a helper or guardian angel) is hovering above you, and they repeatedly push your left shoulder down, then your right shoulder down, then repeat that motion so that it seems like they are almost rocking you to sleep by pressing on your shoulders. If you can imagine this vividly enough, this method can move your astral body out of alignment from your physical body. Either that or it can also induce the vibrations. From there, you can follow my advice on What To Do When The Vibrations Hit. Today I'm reviewing Wake Up Church! 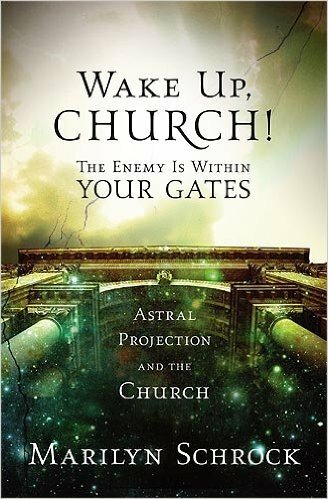 The Enemy Is Within Your Gates: Astral Projection and the Church by Marilyn Schrock. A Facebook friend told me about this book; I was previously unaware of its existence. Naturally, I had to buy it for my collection. It's a small book in physical size,and only 70 pages long. Make no mistake: This book teaches that Astral Projection is evil, evil, evil. But since I always try to keep an open mind, I'm willing to examine the evidence. If astral projection is evil, I want to know exactly why, and I want substance to back it up. I've had many conversations with many Christians over the years and none have managed to convince me. "...don't tell me OBE is evil or against the Bible unless you have specific biblical passages to back it up....If you do, send them to me, because I'd love to know: bob@robertpeterson.org"
So when I heard about this book, I thought, "Okay, Marilyn Schrock, you say Astral Projection is evil, so bring it on. Convince me. Let's see what evidence you use to support your claims." Does Schrock have any biblical passages to back up her claims? No. Not one. Sure, she presents plenty of biblical passages from the King James Version (KJV) of the Bible, but none of them talk about astral projection. Not even close. With a genuine desire to learn, every time I read a reference from the Bible, I brought out my handy dandy KJV Bible and looked it up (I always carry several versions of the Bible with me at all times: It's an app on my phone). Every single Bible passage she referenced: not one shred of evidence points to OBEs being evil. So let's get into the thick of it, shall we? Again, she gives no passage in the Bible to back up this claim. Although there are occasional reports of astral shape-shifting, it's not a matter of gaining access to anything, since in the out-of-body state, you could just stroll right into people's private lives regardless. Unless she means physically, right? If so, I've never heard such a ridiculous claim. Again, this is a ridiculous claim. I've never come across a single correlation between astral projection and abuse. I've certainly never abused my wife, nor she me, but more about my marriage later. Again, no Bible passages are given to substantiate her outrageous claims. In nearby passages, she quotes Luke 10:17-19 but those passages say absolutely nothing about astral projection. "Astral projection is the UTMOST rebellion against the Lord and against His creation because it is against the image of God in man. Astral projectors deceive others, but they are the ones who are most deceived. They came into agreement with astral projection, but they did not bargain for their soul and spirit to be kidnapped and held captive." (pg. 60). I don't know of a single study that suggests any correlation between astral projection and DID (Dissociative Identity Disorder) also known as MPD (Multiple Personality Disorder). If such a correlation existed, it would surely have been cited in the excellent book With The Eyes of the Mind by professional psychiatrists Glenn Gabbard and Stuart Twemlow, which is pretty much dedicated to scientifically comparing out-of-body experiences to personality disorders (none of which have a correlation, by the way). False. 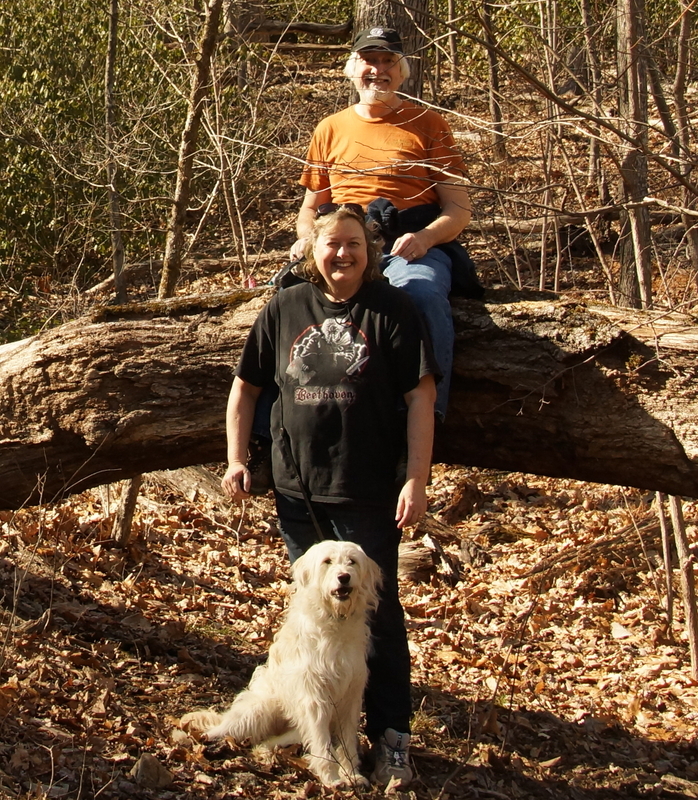 My wife Kathy and I have happily been married since 1992. In May, 2016, it will be 24 years, and we're still best friends. We never fight and we cuddle every day. 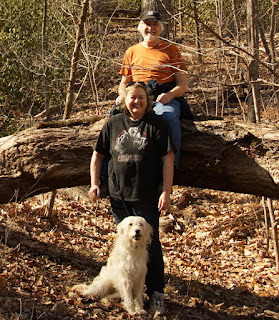 For ten years we commuted to the same job (a computer programming department of two), shared the same office, and pretty much spent 23 hours a day together (the 24th hour was a half-hour for each of us to shower). Does this photo from 2009 look like an abusive or unhappy marriage to you? How about this one from February, 2016? Well-known OBE author Jurgen Ziewe has been happily married longer than I have. I'm pretty sure William Buhlman's marriage has been a long one too. The bottom line is: If there was anything in the Bible condemning astral projection or out-of-body experience--or even casting it in a negative light--Schrock would have cited it. Since she didn't, I can only assume that either she doesn't know the Bible very well, or there's nothing in there to reflect negatively on it. I've certainly never found anything, and I've studied the Bible a lot. With lack of substantial evidence, she's forced to use the only weapon she has: Unsubstantiated claims, which she makes plenty of. Where did she get the disinformation she's spreading? Certainly not through direct experience, which is where I get most of my information on OBEs. Certainly not from the Bible, or she would have cited it. As far as I can tell, it comes from other similarly brainwashed Christians. She cites a few other authors like Rebecca Brown's book "Prepare for War" and personal conversations with other pastors and "intercessors" as she likes to call them. Now ask yourself: What are the fruits of astral projectors? I've never met one person who tried to use it for harm. Most of us use it to explore the afterlife, to become closer to God, to seek the truth, or to deepen their spiritual understanding. Those are the "fruits" of astral projection. Make no mistake: the only reason radical Christians view OBEs as evil is because it poses a threat: they want a monopoly on spirituality. They know that if you learn how to see the afterlife for yourself--to get your own truth--you won't need them or their ministries. So they put up a wall of fear and disinformation. The difference between us is this: I will never tell you what to believe; I'll tell you to find the truth for yourself, and try to provide the tools with which you can do so. They'll tell you what to believe. By the way, not all Christians believe OBEs are evil. There are some very Christian-oriented OBE organizations. One that comes to mind is the Out of Body Travel Foundation founded by Marilynn Hughes, author of many OBE books. This book gets a HUGE thumbs down for disinformation, unsubstantiated claims, and spreading FUD (fear, uncertainty and doubt). It's hard to imagine sane people can even think that way. And again, I reiterate: If you think OBEs or astral projection are somehow evil or against Christianity, and you have solid evidence to back up that claim, by all means let me know. Until then, I will view OBEs are the very best tool we have for spiritual growth. 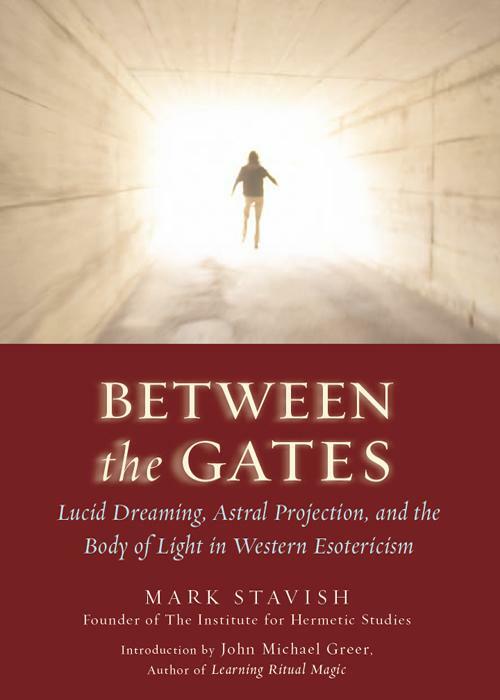 Today I'm reviewing Between the Gates: Lucid Dreaming, Astral Projection, and the Body of Light in Western Esotericism by Mark Stavish. It's a big book, so it's a long book review (sorry!). There are many approaches to out-of-body experiences, but very few come from the perspective of Western Esotericism in the truest sense. I can only think of one other offhand: Francis King's Techniques of High Magic. That's not counting some better-known "little-explanation" occultists like Ophiel (Marcel Louis Forhan). Many people are afraid of anything labeled "occult" or think it's associated with evil, the Devil, or dark magic. Nothing could be farther from the truth. There is nothing Satanic or dark about this book. It's just an OBE recipe book based on age-old traditions from a grab-bag of esoteric sources. Most "new age" approaches to the OBE are based on Eastern mysticism: Yoga-based meditation, energizing chakras, breath-work (Pranayama), Energy/Chi/Qi circulation, visualizations, and so forth. This book is based more on Western mysticism: Kabballah, and Christian mysticism, and with it, more ritual-based meditation. There is some overlap, but also some surprising differences. "Once someone has genuinely encountered the spiritual dimensions of life, the physical one takes on greater vibrancy and, at the same time, less importance. A balance is struck between the importance of experience and the ultimate experience of Being." I admittedly got into this book with unrealistic expectations. I expected to find deep dark "occult" rituals that were not well explained and had no basis in reality. I expected pentagrams, secret signs, and obscure rituals that had been passed down for hundreds of years from the Rosicrucians, the Golden Dawn and various secret societies, without any basis in modern critical thinking. I was wrong. I expected the obscure and hard-to-understand, but Stavish brings a difficult subject down to Earth beautifully. "...the collective energies of our subconscious, the summation of our past experiences in this life and all others, in a single form. This form is our creation and is our personal "devil." It is our judge and jury and also the means by which we understand the purpose of our life. It is this internal, emotional incongruity that is the source of all failure in occult practices and in material circumstances." He explains that there are three main branches of Western Esotericism: Alchemy, Qabala (another way to spell Kabballah), and Astrology, although astrology isn't used for OBEs. He also explains that there are three types of practioners: the Mystic (or Shaman), the Sage (Priest, Priestess, or Prophet), and the Magus (Magician or Occultist). He refers to three levels of self: a "Higher Self," a "Middle Self" and a "Lower Self". The Middle Self is the ego we're most familiar with. The Higher Self is the divine self, the God-connected self, or what some call the Holy Guardian Angel. The Lower Self is the animal self that deals with fulfilling worldly needs: breathing, material instincts, and hereditary issues. He explains the various traditions of Western esotericism and how many of them go back to the teachings of Hermes Trismegistus; also known as Hermeticism. He talks a lot about organizations like the Golden Dawn and the Rosicrucians, and even Theosophy. He explains how all this relates to OBEs. But you've got to be into the esoteric to really appreciate it. He spends a fair amount of time teaching you the Kabbalistic names for the different worlds, the names of God in the Jewish tradition, and the importance of words and names: How they act as a lever for the subconscious. Many readers are trying to achieve astral projection, and different people need different methods. Some people can achieve focus through meditation or self-hypnosis, while others require rigorous training of the subconscious. That's where "ritual" comes in. Rituals are the mainstay of the occultist. Performing a ritual tells your subconscious "Now I mean business" and demands its attention and cooperation. (That's also why religions are big into rituals.) In my opinion, most of the rituals are geared toward personal empowerment: convincing yourself (more importantly, your subconscious) that you have the power and fortitude to achieve OBE, and that you should accomplish it; that it's your God-given right. Stavish gives a lot of rituals (one or more for every chapter), but he doesn't just throw them out there like some books. He explains the theory behind the rituals in modern terms. Every ritual is carefully organized into sections: Preparation, Explanation, Type of Practice, Method, and Incorporation into Daily Practice. He actually has a fair amount of material devoted to the subject of death, how to prepare for it, and how to help others with their transition. I personally don't agree with much of this discussion; I believe that some form of consciousness and personality survives death, even if you don't spend time building a Body of Light. That's just based on the fact that I've had countless OBEs despite having never performed the rituals, nor tried to consciously build a Body of Light. Stavish also spends a fair amount of time talking about the infamous occult figure Aleister Crowley (who called himself the Beast of the apocalypse from Revelations), and his views on astral projection, which I found fascinating. He made Crowley sound almost like an ordinary guy who was just trying to share "secret" occult methods with the world; kind of the Edward Snowden of occultism. Unfortunately, Stavish does not give any OBE narratives or personal experiences, so all this discussion and all these rituals became--for me--just theories and conjecture. Although this was a fascinating and educational look into the world of Western Esotericism and how it relates to OBEs, I tend to think it's a bit too complex for the typical OBE reader who just wants a taste. This is a good sized book: The pages are large, the print and margins are comfortable, and it's 243 pages, so it takes a while to read. Due to the subject matter, it takes a while longer to digest. It is professionally and expertly written. There were almost no mistakes, typos or grammar problems. It's also expertly organized. Every chapter also includes a summation of "Key Points" which are very helpful. I give this book a thumbs up, but only for a limited target audience. If you're into rituals, the occult, and Western Esotericism, this book is for you. If you're not into regimented rituals, look elsewhere. If you're a dabbler, just curious, or just want some basic information on OBEs, this is the wrong book for you.